Women often put other’s needs, whether it’s family or friends, before their own. Dr. Regina L. Edmond wants to help all her patients achieve that healthy balance, which often begins with taking time to address their own health and wellness goals. From her practice in West Hollywood, California, she helps her patients manage physical, psychological and emotional symptoms so they can finally feel their best. What are women’s health services? If you are like most women, you are constantly on the run from morning to night. You are probably overwhelmed by activities that involve your family, your career, and your friends. As a result, your personal needs and health are often neglected. All these activities can pile up and before long, you realize you’re not feeling your best -- whether that is due to weight gain, smoking, or depression. 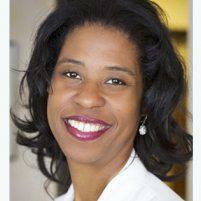 Dr. Edmond strives to help all her patients stop, take a step back and resolve their own health issues. How can Dr. Edmond help? As a woman herself, Dr. Edmond understands how challenging it can be and wants to be there for all her patients. In addition to traditional gynecological services and aesthetic procedures, she offers general guidance to help women feel better, live longer and enjoy life to its fullest. You can turn to Dr. Edmond and know that she will understand and respond to your needs. She strives to be a partner in your healthcare journey, and a source of knowledge and understanding. She will also work with you to manage the physical, psychological, and emotional symptoms that are related to your menstrual cycle, including premenstrual dysphoric disorder (PMDD). Mature women can turn to her for advice and treatment of osteoporosis, as well as those troublesome menopausal symptoms. Dr. Edmond may first recommend a checkup, which may include a pelvic exam, breast exam and relevant lab work if necessary. She will walk through your medical history with you, as well as your goals for your visit, to fully understand the best course of treatment. Call or schedule an appointment online to discuss your health concerns with Dr. Edmond.